A cross between a shortbread cookie and a sugar cookie, these slice and bake Lemon Meltaways have great texture, are lightly sweet and just the right amount of lemon flavour. I discovered these lovely cookies a few months ago through the New York Times and they have since become one of my favourites! 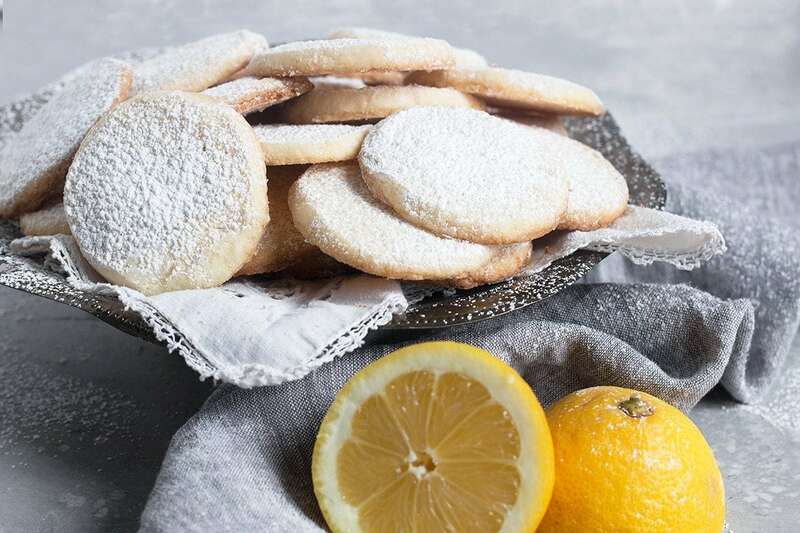 These Lemon Meltaways are a cross between a shortbread cookie and a sugar cookie, so the texture is nice and light. The amount of lemon flavour is spot on and they are just lightly sweet. All of this adds up to a cookie that you’ll want to have in your cookie jar on a regular basis. 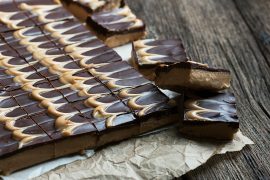 And as if these cookies could get any better, they are slice and bake easy and you can freeze the dough, to enjoy some now and some later. While these are cookies to enjoy all year round, they’s be especially nice to bake up and have around for Easter, I think. Do I need to use unsalted butter? Baking recipes will often specify unsalted butter for a couple of reasons. First, unsalted butter has a shorter shelf life without the added salt, so the butter on the shelf if most likely fresher than the salted butter. And fresher butter is better butter. Secondly, using unsalted butter allows you, the baker, to control the amount of salt in your baking. That makes for a better finished product, as you can salt to your taste. All that said, if you only have salted butter, go ahead and use it, but reduce the amount of salt specified in the recipe, typically reduce it by 1/4 tsp for every 1/2 cup of butter used in the recipe. 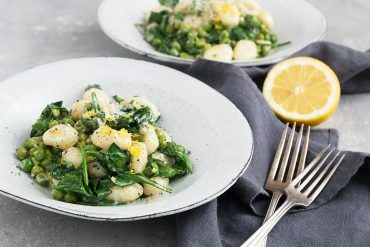 Since this recipe uses 1 cup of butter and only 1/2 tsp salt, you basically negate the need for added salt by using salted butter. Add a pinch, if you like. Is cornstarch the same as corn flour? Yes it is! It is just called different things in different places. Do I need to use fresh lemon juice? 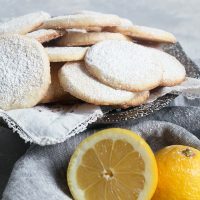 Well, you don’t absolutely need to, but if you don’t start with at least one fresh lemon, you will have no way to get the lemon zest specified in the recipe and you definitely want to add enjoy that zest in these cookies. I found that cutting the rounds a little thicker, resulted in a more evenly cooked cookie. Allow a little extra cooking time for the thicker cookies. These cookies keep really well, in fact, I’d say they get more flavour as they sit, so don’t hesitate to make a full batch. You can freeze the rounds of dough after wrapping. If you’ve frozen them, let the frozen log warm a bit before slicing, so the rounds don’t crack. Be careful not to overcook. They are done when you see a little golden colour starting around the outside edges. You don’t want the whole cookie to start to colour. Check regularly after about 12 minutes of baking. Top Tip! Here’s some tips to keep your cookies round. Once you roll into a cylinder and wrap, chill standing up, so the bottom doesn’t flatten. Likewise, when you are cutting your cookies, you will be putting pressure on the roll, also flattening the bottom. After every 2-3 cuts, rotate the roll and roll gently on the cutting board to return to to a circle shape. 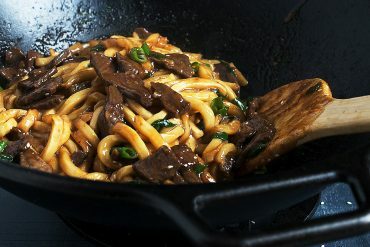 Adapted from a Yossy Arefi recipe as published in the New York Times. A cross between a shortbread cookie and a sugar cookie. These cookies are lightly sweet, with a lovely texture and just the perfect amount of lemon flavour. 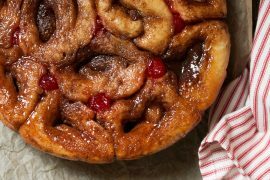 In a medium bowl, whisk together the flour, cornstarch and salt. Set aside. 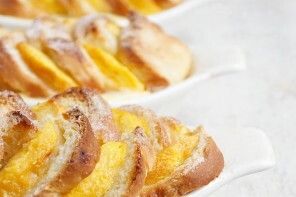 In a large bowl with an electric beater or the bowl of a stand mixer fitted with the paddle attachment, mix the butter with the 1 1/4 cups of icing sugar and lemon zest on low speed until the icing sugar is moistened, then turn the mixer to medium-high and beat until light and fluffy, about 3 minutes. Scrape down the sides of the bowl and add the lemon juice and egg yolk. Mix until combined. Reduce the mixer speed to low, then add the flour mixture, mixing just until combined. Divide the dough into 2 pieces and set each piece on a length of plastic wrap. 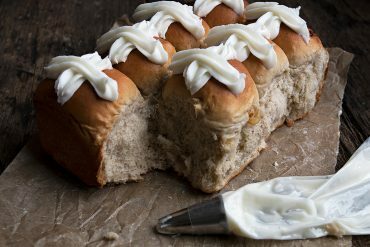 Fold the plastic wrap over the sticky dough and roll and shape it with the palm of your hands to form it into a cylinder about 1 1/2 inches wide. Roll the cylinder a few times to help shape it, but don’t worry if it isn’t perfect. Chill the dough until completely firm, at least 2 hours. *I like to stand the cylinders on their end, to avoid a flat bottom. Preheat oven to 350F when ready to bake and line two baking sheets with parchment paper. Slice the dough into rounds just about 1/4-inch thick (*see notes) and arrange them at least 1-inch apart on the prepared baking sheets. Bake the cookies for 12 to 15 minutes, rotating the pans from top to bottom and front to back halfway though baking. The cookies should be golden around the edges, but not brown all of the way through. Set the pans on cooling racks and cool for a few minutes, then dust both sides of the warm cookies with the remaining 3/4 cup of icing sugar. Let the cookies cool completely on a cooling rack, then store at room temperature in an airtight container. You can dust with additional confectioners’ sugar just before serving, if desired. To keep your cookies round, after every two of three slices, rotate the cylinder and gently re-roll it into a circle before slicing a few more, Repeat every 2-3 slices and you will have round cookies! These medium-sized baking sheets are one of the best additions to my kitchen, since you can fit two baking sheets side by side on one rack in a standard 30-inch oven. So handy as you can avoid the two rack, rotating halfway through baking thing in a lot of cases! 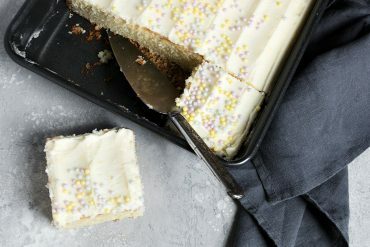 Want to add a couple of 15 x 10-inch cake pan to your kitchen? These are the ones I have! Which brand of kosher salt do you recommend? Diamond ..Mortons? Hi Kelly, I use Windsor Coarse Kosher salt, which is an easy to find brand here in Canada. 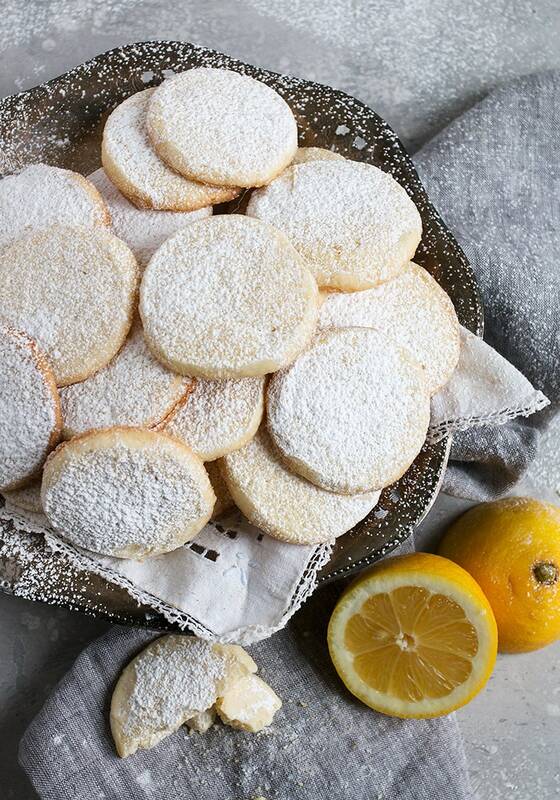 I love lemon cookies and these look so delicious! I’ve never had a lemon dessert that I didn’t like and I know I would enjoy these. Thanks for all the useful tips, especially about cutting the rounds a little thicker. Nothing like a good slice and bake cookie….especially when they’re meltaways!!! I can see these becoming one of my favourites too! Absolutely love lemon anything! I’d devour so many of these right now! Pinned! 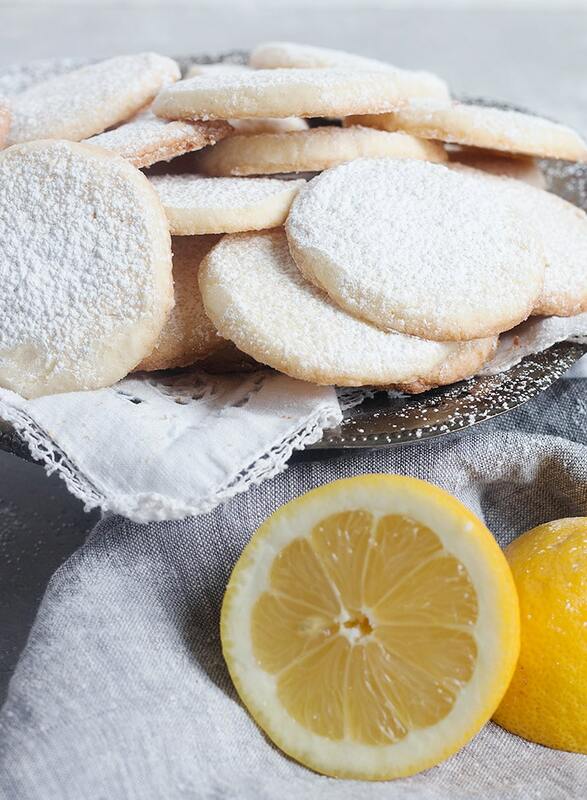 Lemon Meltaways are a personal favorite of mine and these look perfect! Love the description of a cross between a shortbread cookie and sugar cookie – sounds divine! 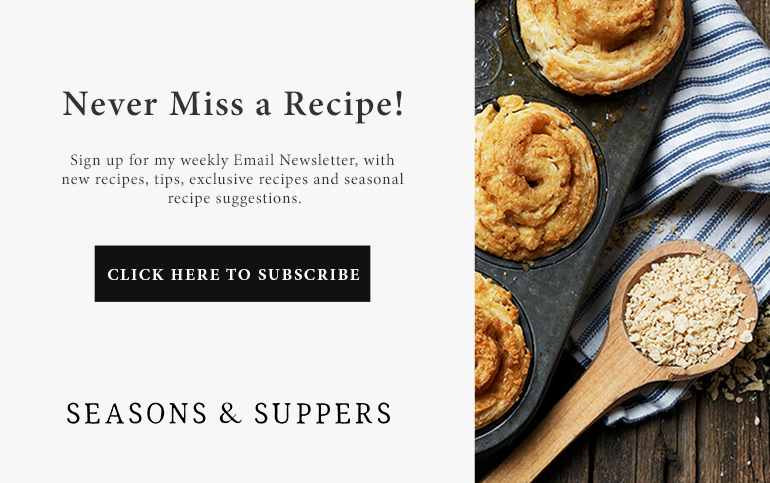 This is definitely a recipe to treasure! I’d love to sink my teeth into a strawberry ice cream sandwich made with these little numbers, mmm. Or just have half the batch with my coffee, I am pretty sure I will not be able to stop myself once I get going, lol! I just bought a lemon melt away at a little bakery nearby. They were quite disappointing. I’m quite certain these cookies would be more of what I was expecting. They look wonderul! LOVE these Jennifer! Lemon cookies rank even higher than chocolate ones in my book! Can’t wait to try these!